hope, friendship, independence and more. When you get involved with Meals on Wheels, you are delivering so much more than daily nourishment. You deliver friendship to those who spend their days alone. You deliver independence, allowing people to age in their homes with dignity. You deliver hope to those often forgotten. Volunteer your time, refer someone who needs help or make a donation. No matter how you get involved, you’ll deliver more than meals. Enter your ZIP Code to see how many homebound neighbors need your help. Here’s how you can get involved with Meals on Wheels of Greenville and make an impact in our community. Meals on Wheels of Greenville needs volunteers to drive more than 130 routes every weekday, hand delivering hot meals to nearly 1,500 households. Sign up and help us fight food insecurity in your community. Every $5.00 you give helps us prepare and deliver a delicious, nutritionally-balanced meal to your homebound neighbors who might otherwise go hungry. Donate now to make a difference in your community. We accept new clients through referrals from physicians or social service agents. If you have someone in your care who needs meal delivery, fill out our referral form today. When you volunteer with Meals on Wheels, you are creating a community of unity. Average Meals Prepared & Delivered Each Day. Meals on Wheels of Greenville relies on a strong network of volunteers to deliver so much more than a meal to every homebound citizen in our community. 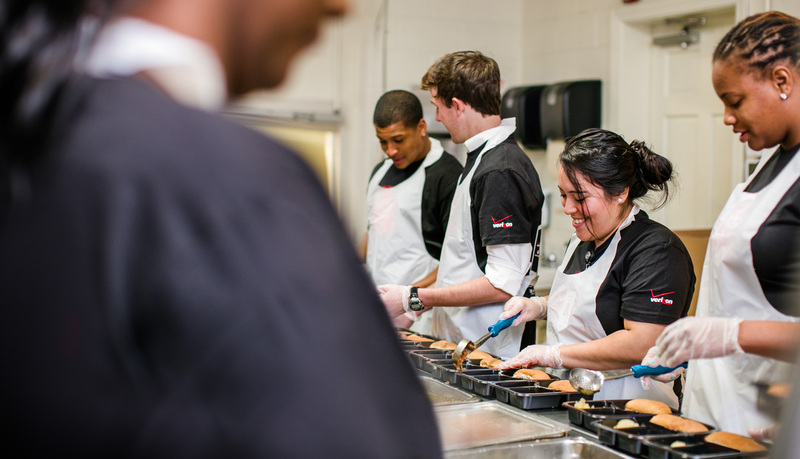 It takes more than 130 volunteers to prepare and deliver nearly 1,500 meals every day—and we haven’t come close to serving everyone that needs us. That’s Why We Need You. Take Action! See what’s new at Meals on Wheels! Events, Feature / Join us at the Drive. Events, Feature / Sign up today!